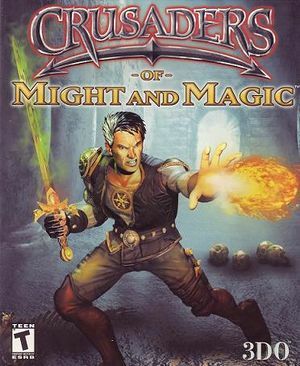 The game is entirely different than the PlayStation 1 variation. Even considered to be inferior than the console counterpart. Delete or rename 3do.bik and CMMIntro.bik. 2D elements stretch from 4:3. Recognizes multiple axes but Z axis only works in one direction (Z-). 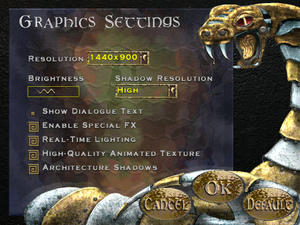 Disabled by default; enable in Graphics Settings, Show Dialogue Text. Change 3D Audio Support to CL EAX. When using dgVoodoo make sure to move the DLL files from MS folder into the main game, run dgVoodoo configurator and select the game's directory. After that check in Enumerate Refresh Rate in General tab and after that set the resolution in DirectX tab. For the 60Hz refresh rate you must pick the resolution with @59Hz at the end. This page was last edited on 14 December 2018, at 09:19.